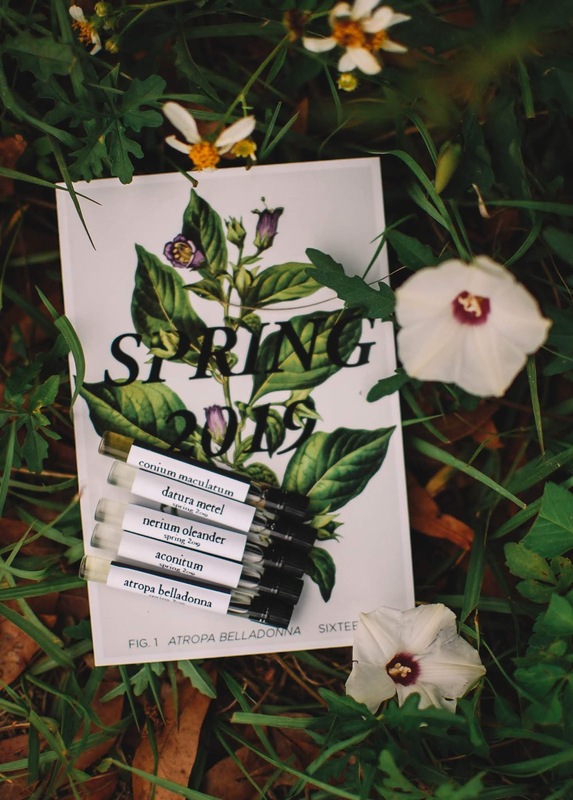 This narcotic spring release from Sixteen92 is the last Circle sample set for this run. After being a member of The Circle for the full year I have decided to sign up again. I very much enjoyed sampling all the perfumes from each release and I liked the full bottle exclusive perk. It is a great way for me to wear notes and fragrances that I might not normally reach for. I highly recommend becoming a member of The Circle if you enjoy expanding your scent horizons. Now onto the Poison Garden Spring 2019 release. Claire derived her inspiration from various toxic plants. I love the botanical placard and the atypical twist on the standard floral offerings of a spring release. These won't smell like a wilting daisy. Aconitum- Notes: Wolfsbane, tangled roots, wildflower, metal, storm, rock, black fur and wild musk. Ruins with crumbling gap toothed leers and moss studded stone teeth push up from black loamy soil. The damp earth pools in shadows, the air charged with green electrons and strange perfume from immortal flowers lurk in deep niches. This stony, stormy atmospheric is a foggy dream to wear. No one quite does stone and storm and metal quite like Claire. Delicate iris blossoms flutter like a field of purple winged butterflies on their green stalks in the breeze. A subtle sweetness characterizes the aroma, perhaps from the tobacco and coumarin. There is a haunting duality to this scent. Much like a spirit can possess someone else and speak through them but with a hint of their own voice, this perfume smells like it has unfolded from a soul in the past and grafted itself to the skin. Long ago a light sugared iris and soft violet hued perfume graced a lady as her signature scent and melded with her body chemistry, adding a human element, and now that aroma has shifted to you. It is beautiful and airy and easy to wear but with an unexpected animalic breath. 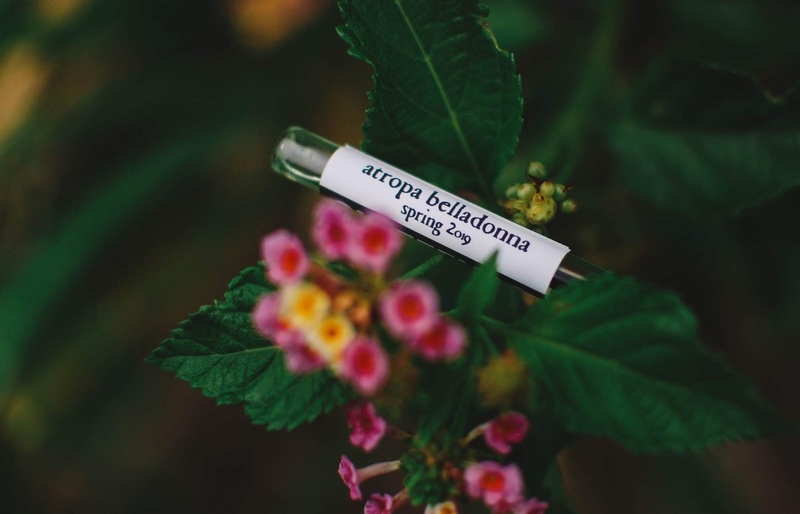 Atropa Belladonna- Notes: Nightshade berry, narcotic flowers, green tomato, green pepper, soil, broomstick and velvet plum. Tiny white hairs running along the stems and leaves of the tomato plant release microbursts of oils that smell of sharp serrated green leaves, pungent herbs and limonene summer sunshine. 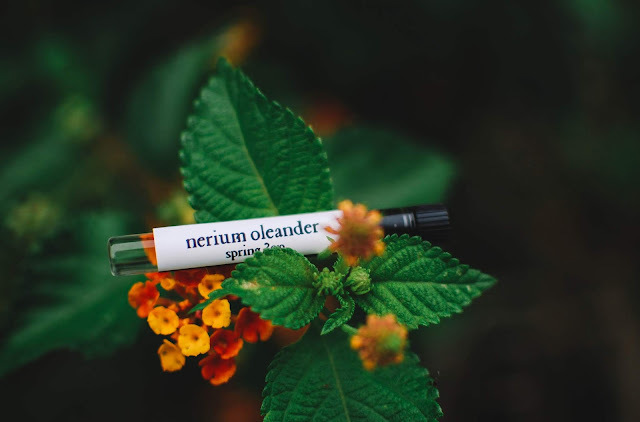 These oils snap and bite at the skin until a sandy layer of soil grounds the scent and a flood of sweet alyssum carpets the fragrance. The drydown is gorgeous. A softly verdant aroma of nature in the nighttime with plantlings, vegetal musks and a brown warmth from the trees. 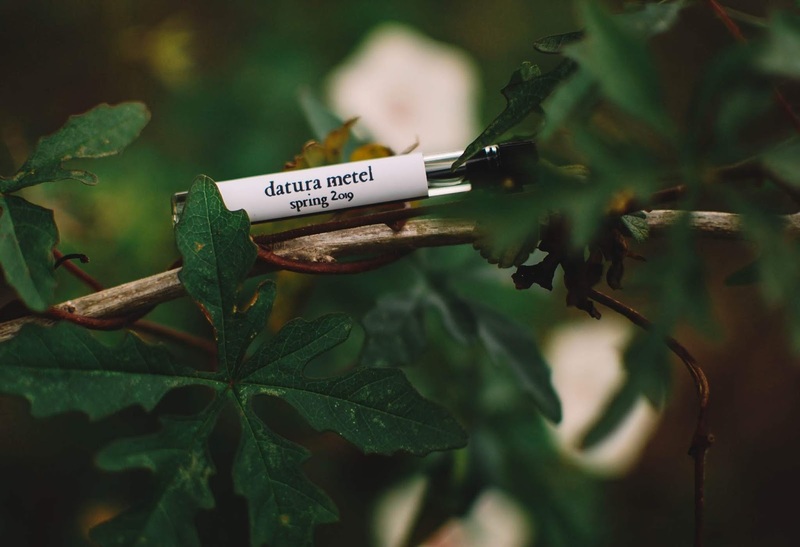 Datura Metel- Notes: Datura blossom, sweet almond, rosewater, sugar cube, vanilla orchid, moth wing and wild honeycomb. Sweet cyanide almonds yield to honeyed jasmine petals. The honey drips down into the drydown and lands in a dewy hollow of rosewater. Deceptively simple. I love the heart and drydown of this fragrance. It is alluring and hazy, approachable yet sibylline. Nerium Oleander- Notes: White and pink oleander, heliotrope, apple seed, sweet custard, pineapple, thyme and coconut water. A heady thick mixture of almond and custard, coconut and vanilla leave me licking my lips unexpectedly. Not what I was expecting for a floral perfume, but those gourmand notes are creamy and lush and quiet toothsome. As it sways into the heart the bakery aspects diminish and a little of the cooling coconut water and floral nuances emerge. 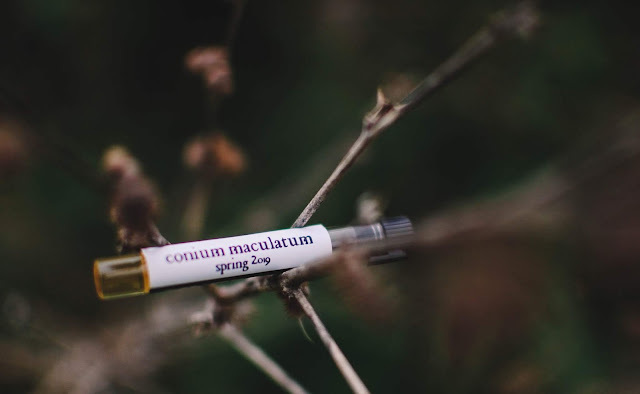 My two favorites from this collection are Aconitum and Conium Maculatum with Datura Metel as a very close third. 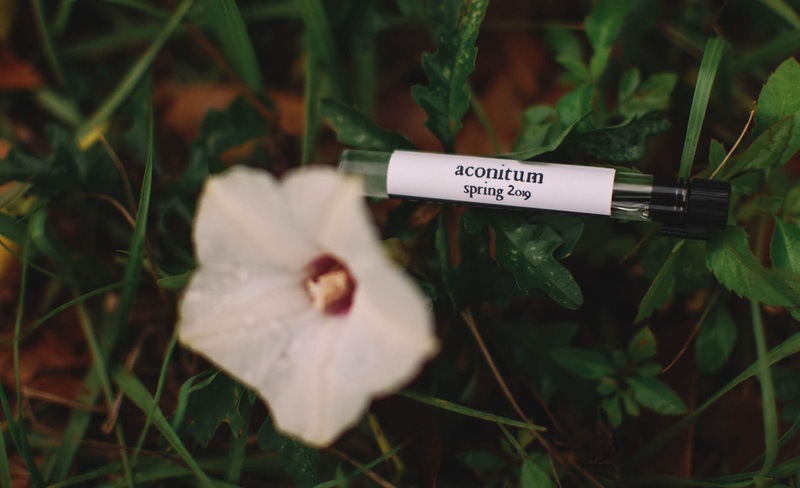 These are beautifully rendered perfumes and I look forward to another year of The Circle. Were you are member of The Circle? Do you plan on becoming one this year? Are you a fan of the way tomato plants smell? Wonderful reviews! I have some samples from this brand but these sound very intriguing! Especially given my blogger name and interest in plants. Thank you for the kind words! I love your name. <3 and I look forward to reading your blog. Thank you for stopping by. I look forward to hearing about your Sixteen92 thoughts. I highly recommend sampling Arcana Wildcraft and Nocturne Alchemy too if you can. 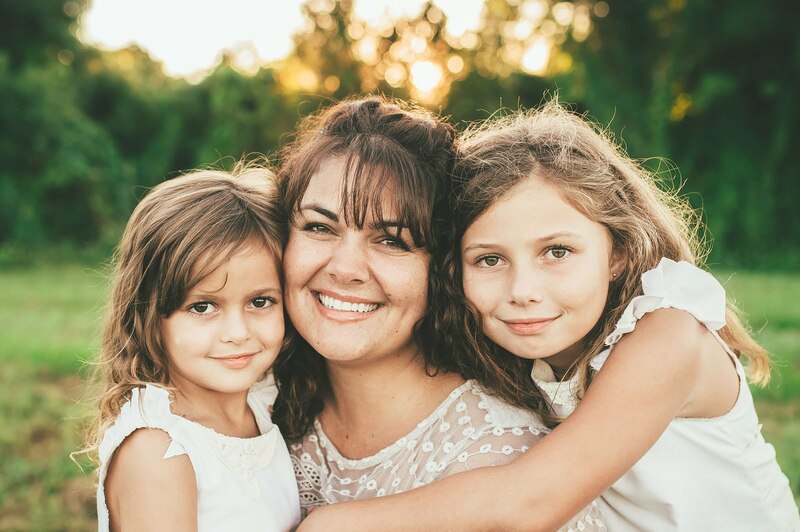 They are my favorites as well.